Smart quilters have used the sewing machine for piecing, applique and quilting ever since it came into common use. Today, most quilters save hand quilting for their finest patchwork and applique projects. 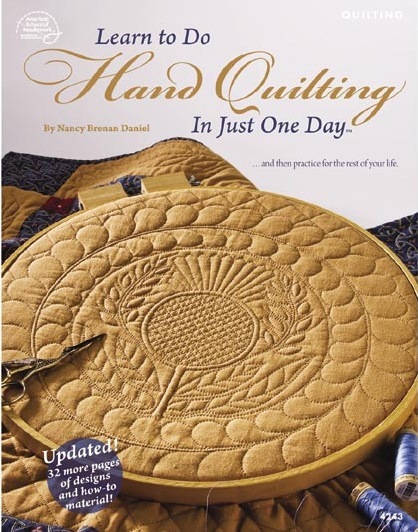 This book is meant as a technical guide to replicate a nineteenth-century-style hand quilting technique. Quilters wanting some tips and answers about improving their own technique will find many helpful suggestions. A non-stress positioning of the quilting hands is emphasized for maximum efficiency and painless hand quilting - except for the occasional, too enthusiastic, needle prick. 64-page soft-cover book.